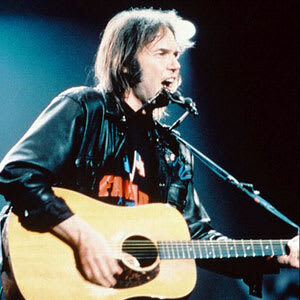 Neil Young Blows It At "The Last Waltz"
You can see how it might happen at a rock ’n' roll celebration in 1976, but when Young came onstage to sing "Helpless" for Martin Scorsese's classic documentary of the Band's farewell concert, The Last Waltz, he had a visible chunk of cocaine hanging from his left nostril. So visible, in fact, that Band guitarist and co-producer of the film, Robbie Robertson had to pay several thousand dollars to have it Rotoscoped out of the final cut. "The most expensive cocaine I've ever bought," Robertson quipped. Years later, asked about the incident, Young replied, "I'm not proud of that." It's okay, though—while you can still see some shadowy remnants of the snow booger in the doctored edit, the performance remains one of the great moments in music history.